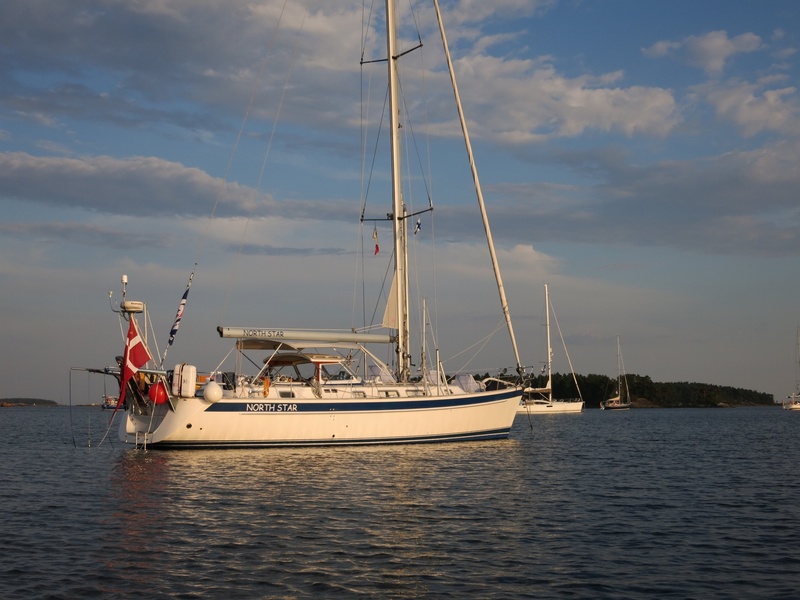 S/Y North Star is a Hallberg Rassy 48 from 2005, and she has been in our ownership since 2012, as the second owners. When we found her at Hallberg Rassy in Bruinisse, she had only seen light use, as she primarily was used as a second home. She is sailing under Danish flag, with a Swedish and Danish crew and is approved A for Ocean sailing. 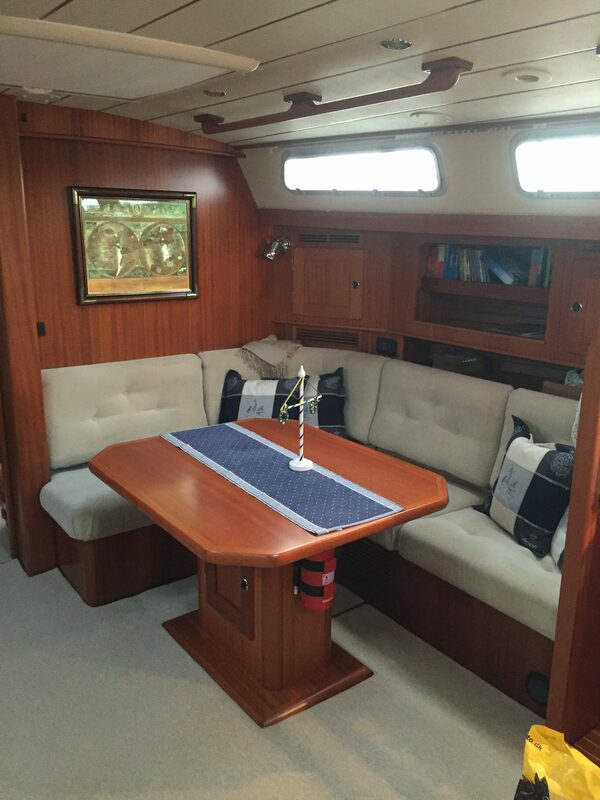 North Star is our third Hallberg Rassy and we have enjoyed the safety and comfort of these boats since 2001. Our third belongs to the new generation of German Frees design and this has added a speed dimension to the Hallberg Rassy, which they did not have in the past. 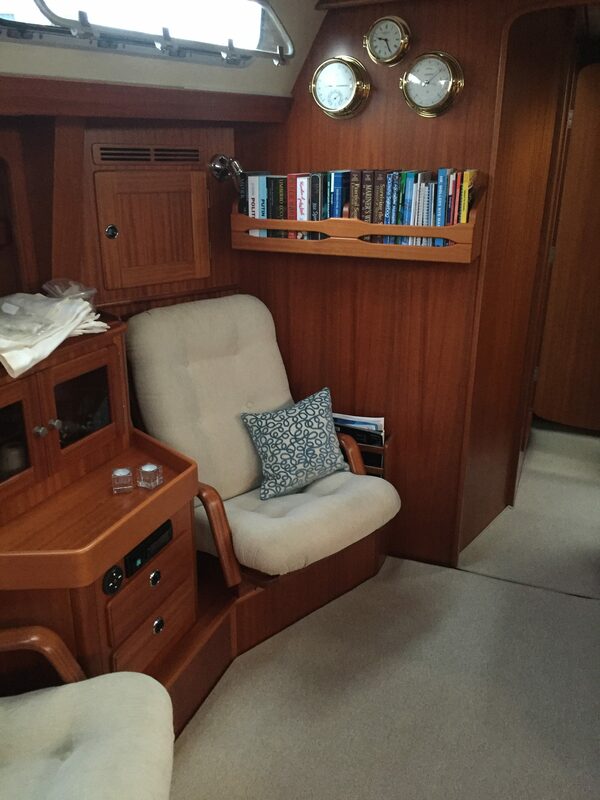 It is always a discussion among sailors and a very personal choice, whether you want to sail in comfort and face the unavoidable repairs of a well-equipped boat or you belong to the simplicity school. Neither is better than the other, but we have chosen the HR’s because we enjoy the safety and comfort this boat offers to its crew. We have also chosen to sail a 50 feet boat, which we believe is about the largest yacht two people safely can handle, when or if all the technical support tools break down.We started to prepare the boat in 2012, not quit knowing when we were leaving, but if you start a few years in advance of departure you spread the burden of installing new tools and the financial investment. When we found North Star it was also important that she was already equipped with many of the most difficult gizmos, factory installed at the Hallberg Rassy Yard. She came with Hydraulics, water maker, generator and good electronics. The rig is a conservative Selden masthead with a 135% genua and a 100% Jib, both hydraulics, so we can sail her as a cutter. All sails are vectron, reinforced with Kevlar 28000 and in Elvstrøms offshore quality and should be good for 40000 nm, if we are not to unlucky. We carry an extra Jib. We were unlucky as both sails delaminated when we arrived to Caribbean after just 2 seasons and a bit. We are using Hydranet and it seems to hold up well. 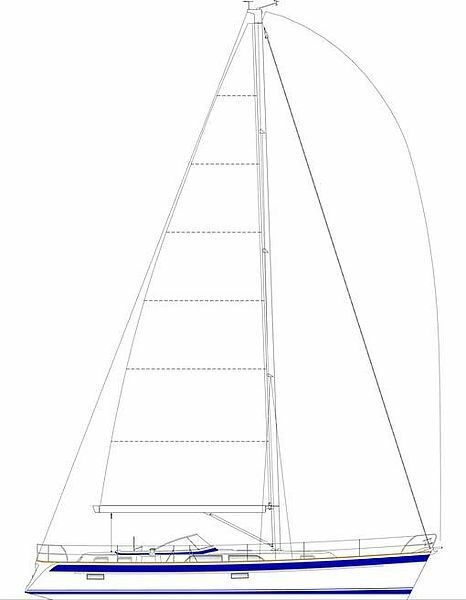 We also have a Code-0 on a roller from UK_Sails, for those quite days, we hope will come and have just ordered a gennaker after our first 5 months down to the Med. 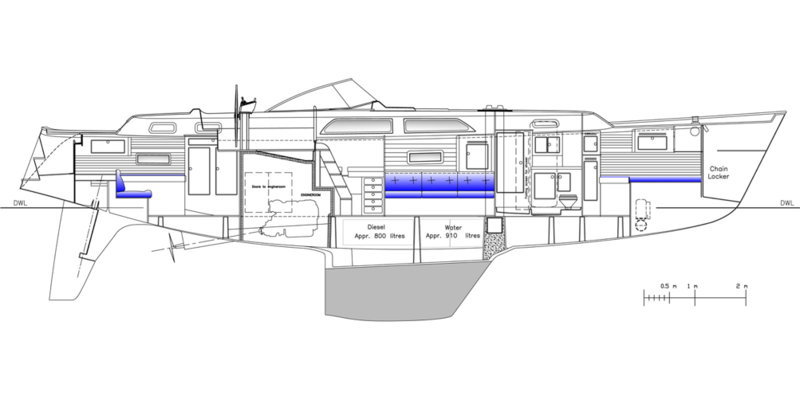 But after our Atlantic crossing we shipped the code-0 home and ordered a Blue Water Runner for the Pacific. It will hopefully give us a bit more speed on the quiet days. Engine, Volvo Penta D3 110 A. Water in two tanks 910 l.
Things will breakdown and you must always think in backups and recovery. Of this reason we have set up our electronics so they are able to backup each other’s functionality. The daily system is a 2015 Raymarine system with three i70 and a compass over the cockpit and three chart plotters – 2 in the cockpit and one at the chart table. The one at the wheel, is connected to the backbone, but have an build in GPS and will work as backup. We also have a standalone GPS at the chart table and the radar, which as well have internal GPS, but can be viewed on all screens. We have a laptop with a GPS for navigation and weather only, a Mac Book Pro with MaxSea and OPEN CPN and Sailmail and Predict Wind weather. Finally, our iPhones and iPads is installed with Navionics maps. We have a Raymarine 6002 connected to a Whitbread drive and we have a Raymarine 7002 Evolution connected directly to the rudder. It seems a lot, but with the dependency modern sailors have on their electronic helpers, and the complexity which makes it nearly impossible to fix it underway, we have found it important to have a second solution. riend together with 230 w of solar charging power. We also carry 14 AGM batteries from Mastervolt, divided into a 12 v and a 24 v bank. In total we have 780 ah in 24 v, charged via two 24 v chargers and 1 12 v, all from Mastervolt. This gives us backup charging capacity and possibility to charge both with 110 v DC and 220 v DC. We are creating this site to share information about the rewards and the challenges involved in navigating a sailboat around in the world. We have been sailing the last 30 years, but have sailed further and further ashore. During the years of preparing ourselves and S/Y North Star we learned from fellow sailors experiences and it is our hope we can give some of that back. 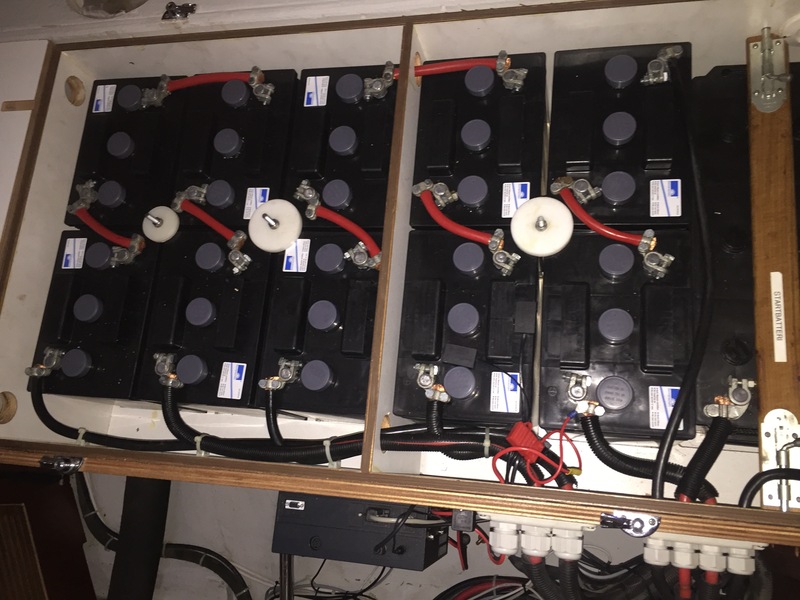 This is the standard ENWA solution from Hallberg Rassy which makes 135l an hour and can only run on 220v or when the generator is running. This is an important piece of equipment, which means that we never have to be concerned with the water we have onboard. 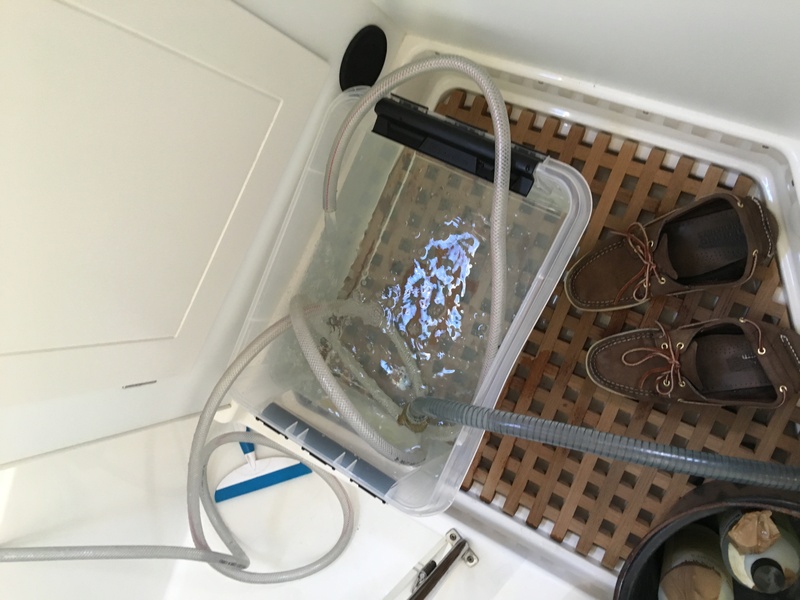 We fill one tank of 450 l from the water maker and the other tank from shore water. All our drinking water at the sink in the galley, is cleaned through a charcoal filter. We are considering to add a smaller water maker as emergency backup. We have chosen to be both old school and modern. We have an ICOM 802, with DSC for emergency and we use her primarily for chatting and listening when we sail in regattas, such as the ARC. We also have an Iridium Extreme as backup and for use in the Grab bag. At our recent refit, we choose to install a new KVH broadband solution for higher speed internet and phone connection worldwide at reasonable prices. We value that we can get in touch with kids and family without much trouble. We also carry a Simrad VHF with two handset, one up and one at the chart table, together with two handheld VHF for the dinghy and as backup. After two years we decide the KVH was too difficult and expensive to really use. So today we have an Iridium Go with an externally antenna with unlimited data. And as backup we have an Iridium Extreme phone. 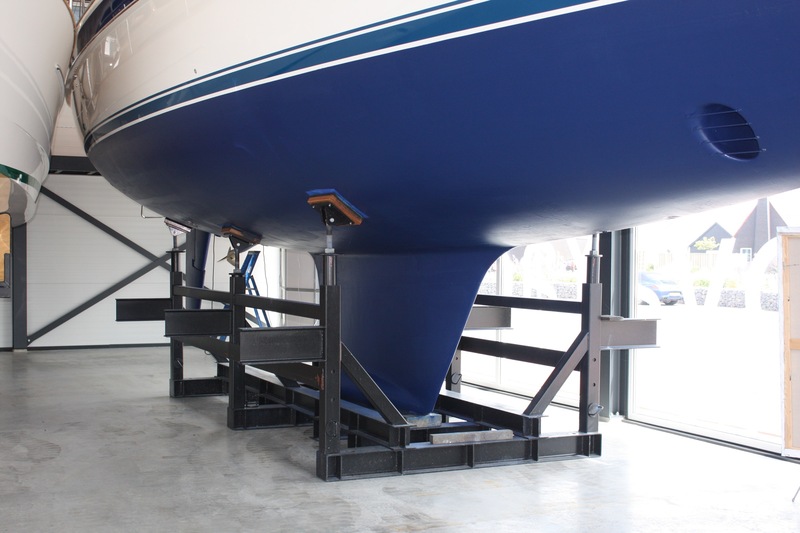 This setup is in our opinion the best for small and mid size sailboats. Everything above is about securing that the boat can keep moving and take could care of its crew – so it is really all security. But more specific, we carry AIS responders in all our Spinlock crew wests, a 6 person Viking offshore fleet, a crab bag, EPIRP, alarm button on the SSB and the satellite phone and probably more….